It seems like I have been super busy MAKING stuff and not SHARING stuff lately. With assignment deadlines, real life, 3 kids, and 4 day road trip/adventures, life has gotten crazy ! But I am here today to try and make it up to you. 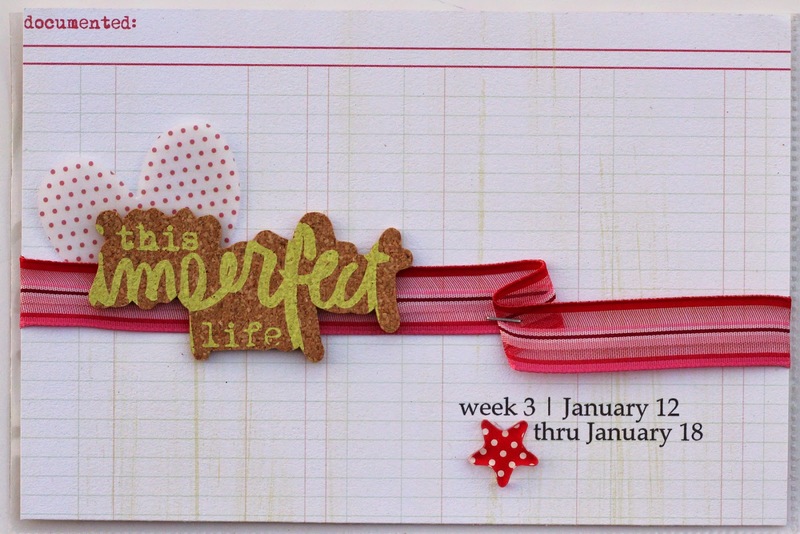 And I will be back tomorrow to share my last Becky Higgins Creative Team layout for January. Yeah, guess I'd better get on that before the February ones come out huh ?!!! 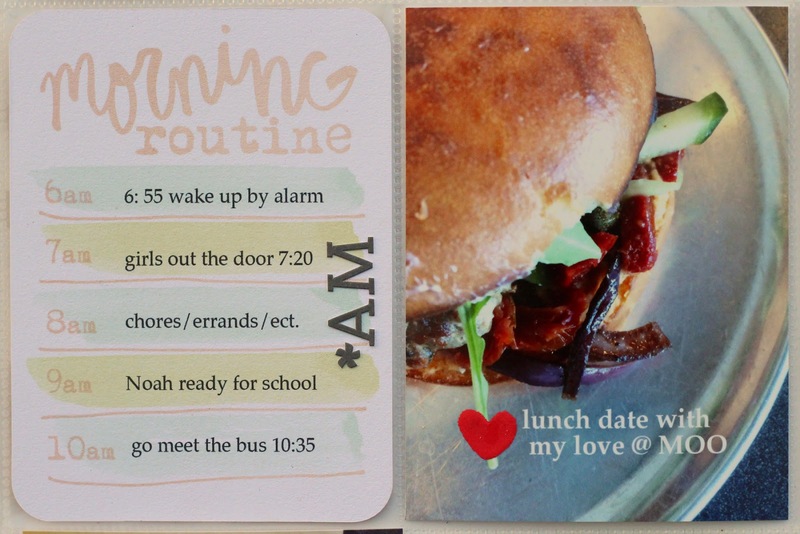 Today I am here to share my PL Week 3 using the awesome Love Life Daily Diary kit from NoelMignon.com. click here to go to the shop and get your kit. I used a strip of ribbon all the way across my title card and stapled it onto my card. I added a vellum heart underneath the cork board sticker. 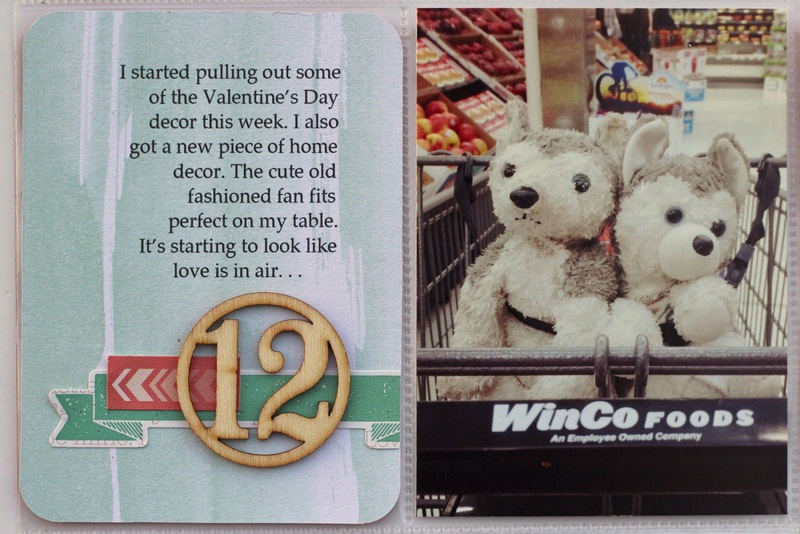 A journaling card about decorating for Valentine's Day and a photo of the "fur babies" at the grocery store. These two dogs seem like part of the family. They are usually not to far away from Maddie and Noah, esp. at home. They talked me into letting the dogs come to the store. I added some letters to spell out bingo on my journaling card about our Mother Son Bingo Night at school. It is always important to document not only the good times but the bad as well. I decided to not leave this part out of my Project Life album. This is real life folks, and what was part of our week. I used some letters to spell out NO on my journaling card. Noah and I found ourselves on the floor a few times this week. Especially first thing in the morning. The legos were left right there where you see them, cause your only a kid once. 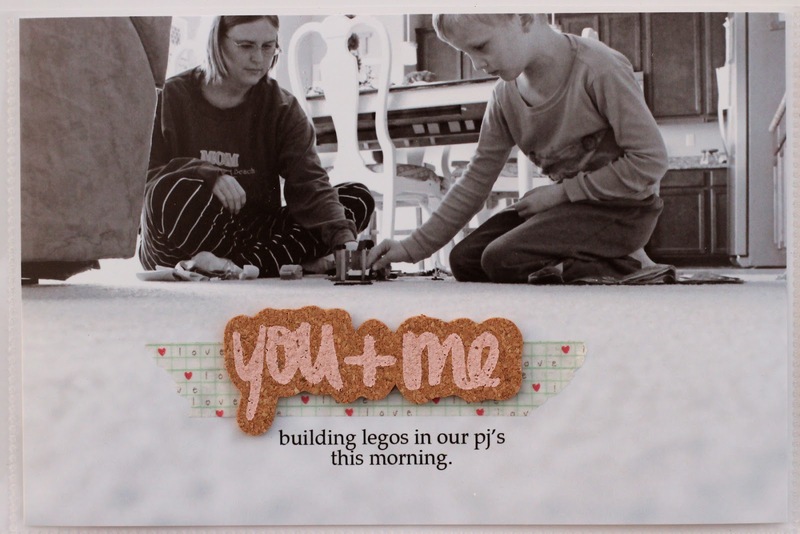 I layered one of the cork board pieces on top of a strip of washi tape. Don't you just love those cork board stickers ? I had to restrain myself from using all of them on this one layout !! On the right side of my 2 page spread I used a page protector that had lots of pockets. 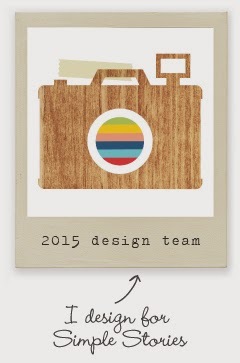 I believe it is design F ? I had lots of pictures from week 3 and I wanted to include them all. It was definitely fun to mix it up a little bit in my album. 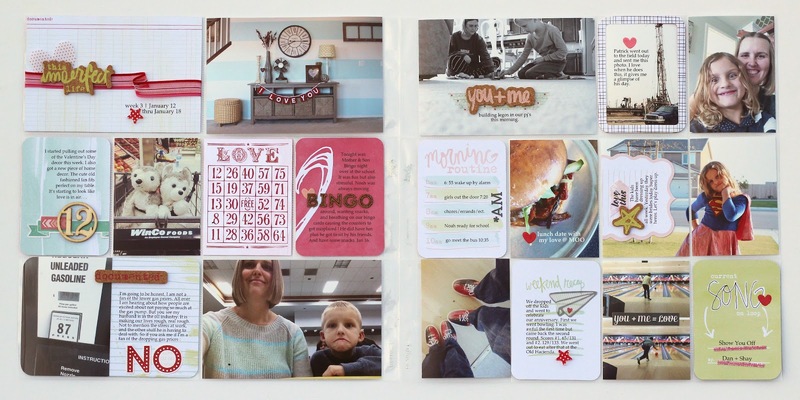 There are some great journaling prompt cards in the kit and I took advantage to capture a few fun tid bits. 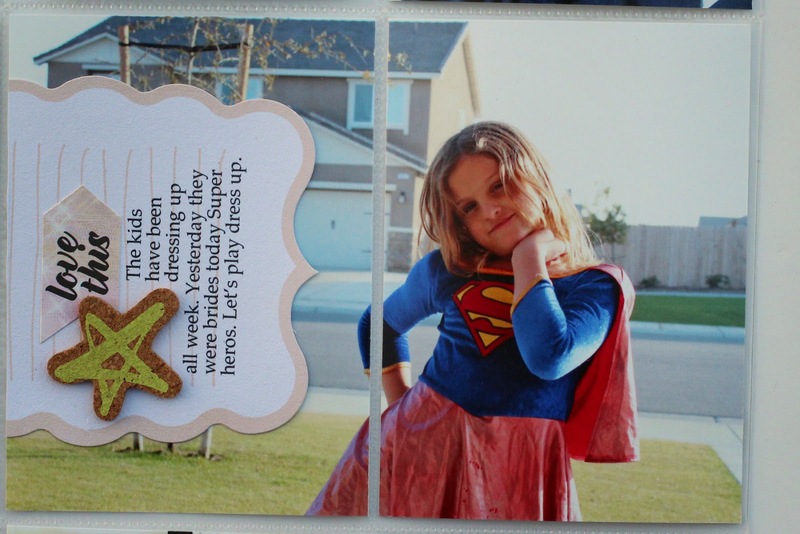 I really wanted to fit this photo of Maddie in her dress up outfit but I had used up all my 4x6 slots. 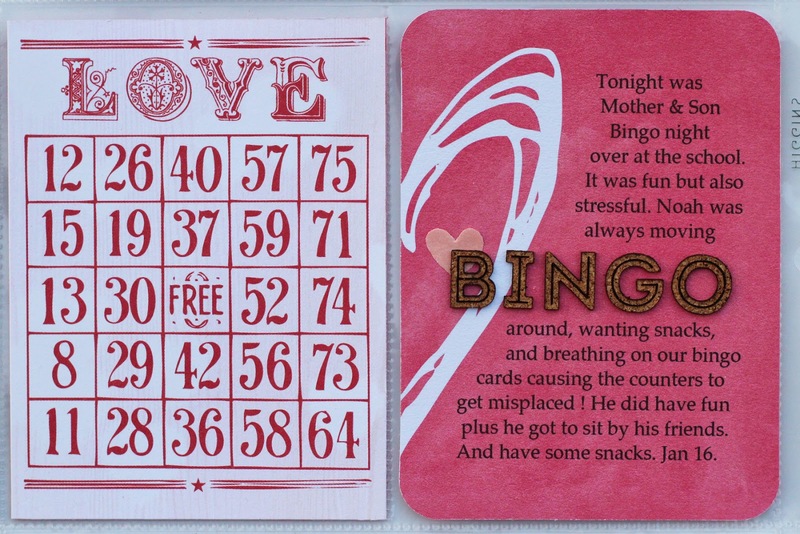 I cut it in half and slipped it into the smaller slots after I added my journaling and embellishments. We celebrated our 13th Wedding Anniversary that Saturday by going bowling and out to dinner. It was a blast and I'm so glad we did it. 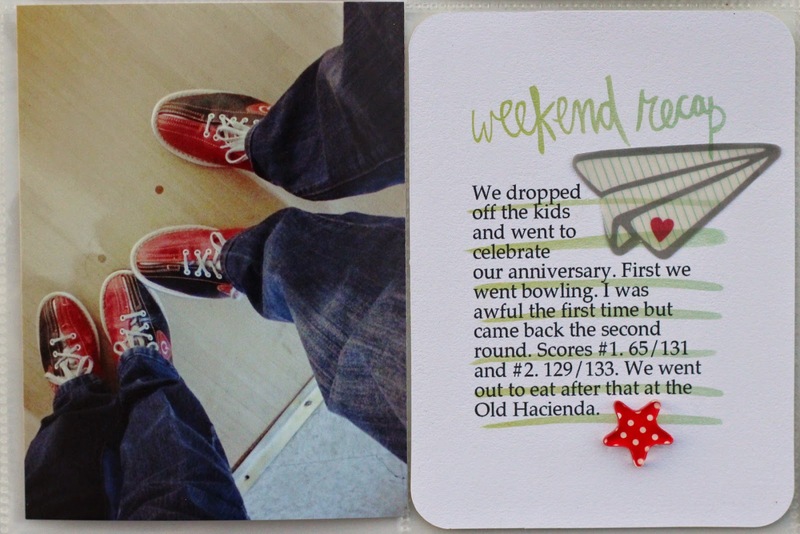 I included the scores of both our games on the journaling card for a fun reminder that I am horrible bowler ! Ha. 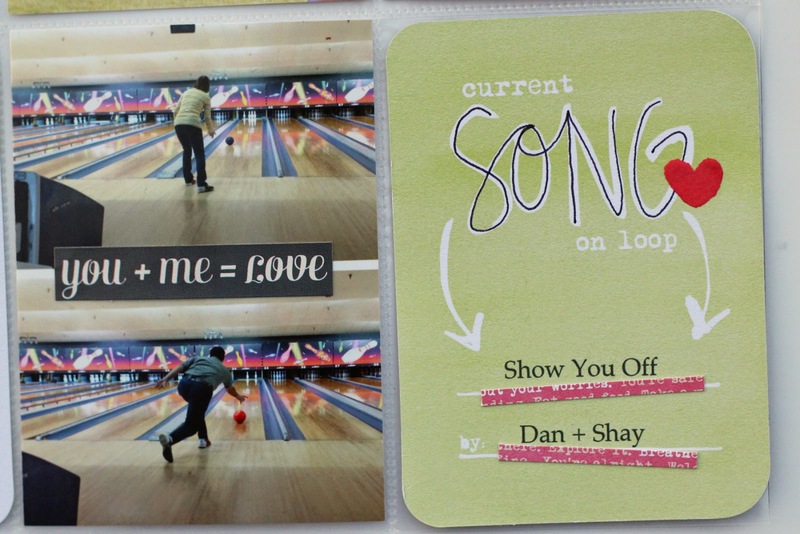 I included a photo of each of us bowling. 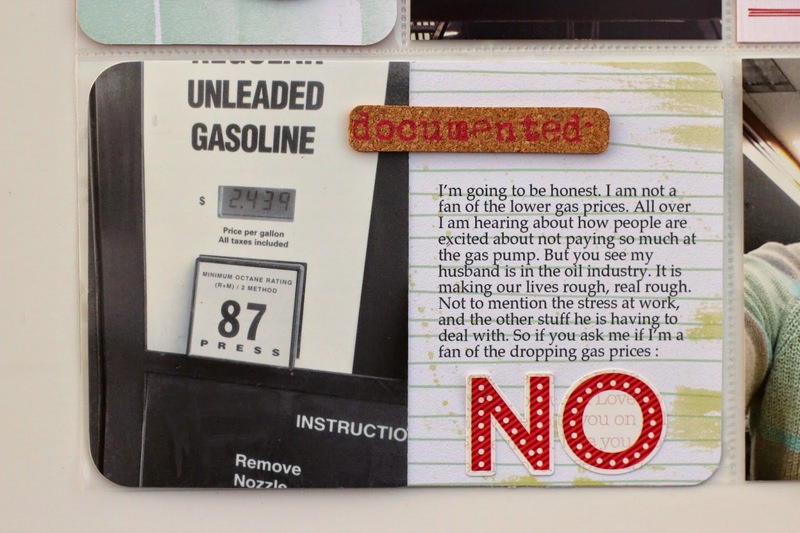 Also another fun journaling prompt card. I am so excited to be getting these fun memories documented and into my PL album. I only have week 5 left to go and then January is all done. WOOHOO !! And I also getting a few more weeks completed in my 2014 album as well. It feels so good ! Are you guys working on your albums ? I sure hope so. You won't regret it. Have a great rest of the day everyone. Thanks for coming and I hope you have found some inspiration today ! You are on a roll; moving right along! Looks great as usual! I just ordered last half of 2014 pics; still mulling over what to do for 2015. Yes, I am on a roll and it feels really good ! 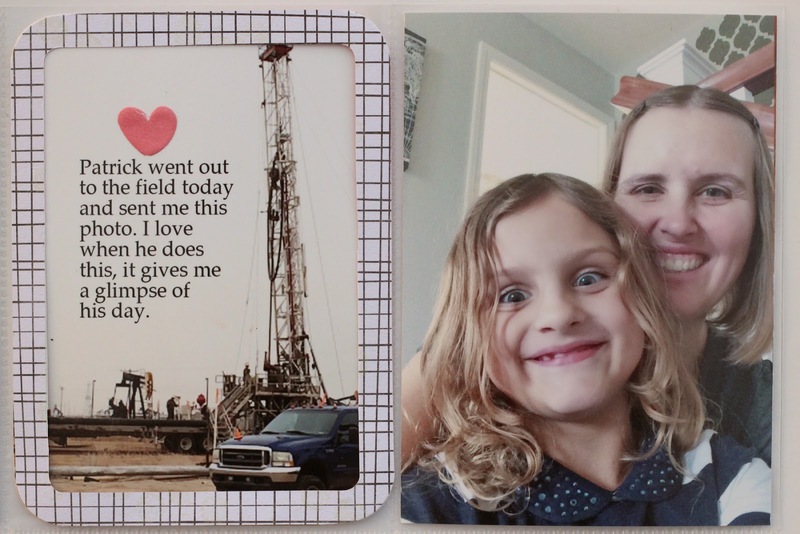 I'm really glad to hear that you ordered your photos. Sometimes that is the hardest part. Keep going, you got this !